It’s tough to have a discussion regarding the state of the cosmetics industry without covering Neutrogena in some serious detail. An industry leader in every sense of the term, Neutrogena has and continues to set the standard in so many of areas in personal care. We will cover the history of the company, its product lines, and more here in our Neutrogena History and Products Review 2016! Unlike many of the most prominent personal care products manufacturers in the industry today, Neutrogena is not a young company, nor one that has risen to prominence in recent years. No, Neutrogena’s history is a long and historic one, filled with twists and turns – all of which has helped build Neutrogena into a titan and a beacon of excellence in skin care, hair care, and cosmetics. Originally founded in 1930, Emanuel Stolaroff began providing niche cosmetics associated with film and glamor under the company name, ‘Natone’. Gradually, the business grew and expanded into conventional retail markets as Stolaroff developed more and more standardized products carrying broad appeal. However, it took until the year of 1954 for Neutrogena, or Natone, to change forever. Stolaroff, while on a business trip investigating the potential found in European markets, met Belgian cosmetics chemist Dr. Edmond Fromont. Having developed a patented formula for a mild, clear soap that cleaned the skin while rinsing away quickly, Fromont was simply looking for a believer in his soap, and he found one in Stolaroff and Natone. An agreement was struck for the clear soap, which was officially branded as ‘Neutrogena Soap’, to be sold through Natone. Neutrogena Soap caught fire in the United States, becoming wildly successful there as well as nearly all markets that it was imported to. The soap became so successful in fact, that the Neutrogena name brand outshone that of Natone, which led to the company name being officially changed to Neutrogena in 1962. It was around this time that Neutrogena made another successful pivot, as the company promoted its soaps to the medical community and found footing in this market. This helped establish Neutrogena as one of the safer soaps around – ‘if it’s good enough for doctors, it must be good enough for me’ is the line of thinking that Neutrogena successfully achieved for itself. The company had a successful IPO in 1973, and 1980 marked Neutrogena’s entry into haircare product development and distribution. Acne and anti-aging product lines soon followed, which compounded Neutrogena’s success. In 1994, Neutrogena was acquired by Johnson & Johnson for $924 million USD. The reach and resources of Johnson & Johnson, one of the most powerful companies in the world, helped Neutrogena expand its distribution to new, untapped markets, as the brand found unprecedented success in the 1990’s. Neutrogena products are now distributed in over 70 countries, and product development has never slowed. Today, the company seeks to better itself just as much as it did when Emanual Stolaroff embarked on that fateful business trip in 1954. Simply put, there’s no quit in Neutrogena – despite its success, the company is constantly seeking to better itself in order to remain an industry leader, all to the benefit of their consumers. The sky is the limit for Neutrogena, and so long as the company remembers that, it will continue to run roughshod over its competitors in the personal care products industry. The most celebrated and relied upon product set in the entire Neutrogena family is without a doubt that of their line of face cleansers. 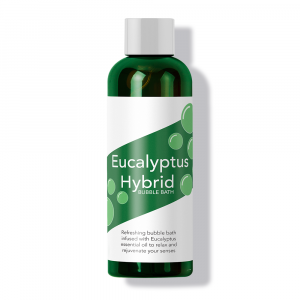 You’d be hard-pressed to find an individual or family that doesn’t have a bottle or two of these cleansers lying around in their bathroom, let alone someone who hasn’t heard of them. Neutrogena face cleansers come in several different forms, but are all celebrated for cleansing the skin on the face. Whether this is cleansing of dirt, harmful oils, clogged pores, blackheads, or more, Neutrogena face cleansers are notorious for being the most effective over-the-counter cleansers on the market. 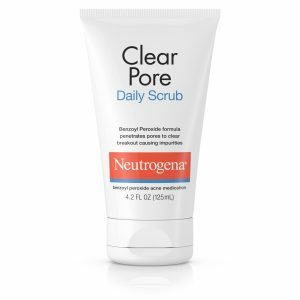 “The Granddaddy of Them All”, Neutrogena’s Clear Pore Daily Scrub, cleanses the skin of impurities while gently exfoliating away dead skin cells to unclog pores. Neutrogena’s Oil-Free Acne Wash Cream Cleanser contains Salicylic Acid to clear acne and prevent breakouts, unlike other oil-containing cleansers which could, in fact, have an adverse effect on the skin. Deep Clean Gentle Scrub is a powerful cleanser that utilizes Beta Hydroxy in order to achieve a deep clean that reaches pore depths and crevices that competitors cannot. Blackhead Eliminating Daily Scrub does exactly what its name states that it does – it eliminates blackheads. Exfoliating microbeads help to ensure that blackheads don’t return, meaning this daily scrub isn’t just a band-aid – it’s a cure. Makeup Remover Cleansing Towelettes allow you to clear all dirt, oil, and makeup. Whether the makeup be waterproof or not, it makes no matter, these towelettes get the job done by effectively cleansing with such strength that rinsing is not even necessary. When Neutrogena decides to develop a new line of products, it does so with utter seriousness. The company seems to abide by a go-big or go-home philosophy. In other words, Neutrogena doesn’t appear to give any less than its all when it creates a new product, and this is apparent in the development of the Neutrogena shampoo line. 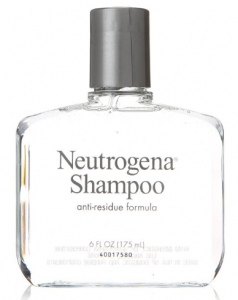 For example, we have Neutrogena Anti-Residue Shampoo. The Residue shampoo is not intended for daily use, but rather once-a-week treatments in order to clear out the stubborn residue that lingers in hair and causes recurring hair problems. 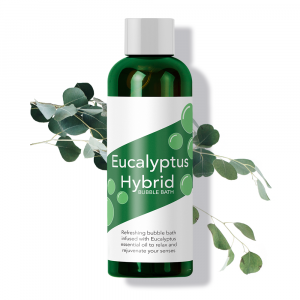 This is the sort of product that most companies do not even attempt to develop, whereas Neutrogena has successfully developed this weekly treatment to the delight of its consumers. Neutrogena even offers T/Gel Therapeutic Shampoo, another weekly treatment which works to cure particularly itchy, dry, and flaky scalps. T/Sal Therapeutic Shampoo, on the other hand, is more of a regular-use sort of shampoo which is used to combat dandruff, seborrheic dermatitis, and psoriasis. Neutrogena Daily Control 2-in-1 Dandruff Shampoo Plus Conditioner is sort of your standard, Neutrogena-branded answer to Head and Shoulders: a daily-use shampoo that fights dandruff and is gentle enough to become your trusty shower companion. 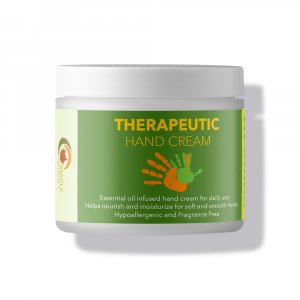 When most people think of moisturizers, they seem to think of versatile products, or gels, which can be used to moisturize any area of the body. 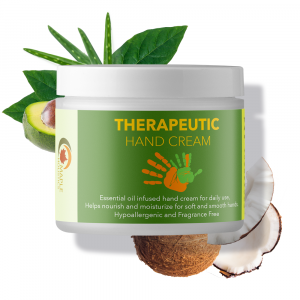 While Neutrogena does offer versatile moisturizers, its moisturizers are generally specialized as well, offering moisturizing benefits designed to service specific moisturizing needs. For example, Hydro Boost Hydrating Serum is Neutrogena’s leading facial moisturizer, featuring a serum which instantly quenches dry skin and retains moisture throughout your entire day. 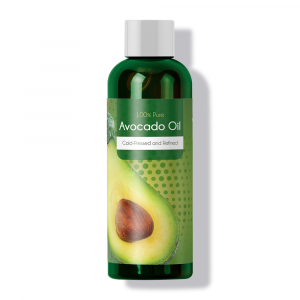 Neutrogena’s Sheer Oil-Lotion, on the other hand, is meant for use on the body at large – Sesame Oil helps the formula glide on and soften skin as it is applied. Neutrogena even offers a full slate of ‘Acne Moisturizers’, all of which clear breakouts and fight acne while simultaneously moisturizing the skin (Oil-Free Acne Correct & Cover Pink Grapefruit Moisturizer is Neutrogena’s leading acne moisturizer). Finally, Neutrogena offers anti-aging moisturizers, intended to promote a more youthful appearance while also moisturizing the skin. Neutrogena Rapid Wrinkle Repair Night Moisturizer is the most prominent example of this sort of hybrid, as the retinol formula used helps fade stubborn wrinkles while also moisturizing the skin. While traditional soap paved the way for Neutrogena to become a leader in the personal care products industry, the evolution of the company has in fact seen Neutrogena now become particularly well-known for its acne-related products. For those whose acne problems are stubborn, but perhaps not serious enough to warrant prescription treatments, or even more expensive treatments like Proactiv, there is Neutrogena. The All-in-1 Acne Control Daily Scrub is an acne scrub that is intended to fight acne in the long- and short-term, by using a powerful formula that both fights new breakouts and buffs away old acne scars. Clear Pore Oil-Eliminating Astringent is one of Neutrogena’s most popular products, and it wouldn’t surprise if you’ve seen it in the bathroom or cabinet of a friend or family member. 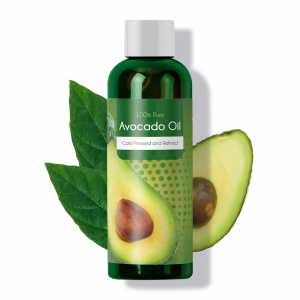 Many folks count on this astringent as a fixture of their acne-combating kits, as the maximum strength formula helps to fight blackheads, whiteheads, and everything in-between. Neutrogena offers full kits and treatments as well, such as the Complete Acne Therapy System, offering the power to reduce acne scars in as little as four days if the regimen is followed properly. Once Neutrogena was already developing cleansers, acne products, and hair care products, it was considered a natural step for the company to next develop a line of makeup and cosmetics – and that’s exactly what happened. Neutrogena Cosmetics focuses on not only developing high-quality and effective products but safe ones as well – which is unfortunately not entirely commonplace in the cosmetics industry today. 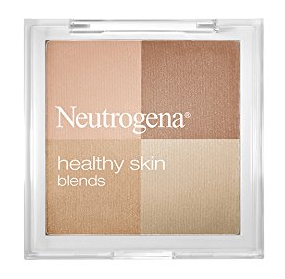 The company covers all of the major elements of cosmetics – face, lips, and eyes are all present and accounted for in the Neutrogena line. For starters, the line of face cosmetics offered by Neutrogena is diverse enough that you’ll never need to visit another cosmetics provider to take care of your face. Try Healthy Skin Blends for an excellent offering of natural skin tones, or SkinClearing Complexion Perfector for coverage with excellent hold and strength. The Lip line of products from Neutrogena may not be as vast or diverse as some other cosmetics companies offer – like Urban Decay or Lush – but they do have the basics down pat. MoistureSmooth Color Stick moisturizes and conditions lips while simultaneously offering great color – 16 shades are available. MoistureShine Gloss accomplishes the same – providing a moisturizing and conditioning effect – while glossing lips in 9 different colors. Finally, from mascara to liner, to concealer, Neutrogena offers an assortment of handy and safe eye products, but what really stands out is their Crease ProofEye Shadow. Available in two different shades, ProofEye does an excellent job of brightening eyes without fading on you throughout your day. When a brand becomes synonymous with a certain product – think Kleenex and tissues, or Q-Tips and cotton swabs – it can be pretty difficult to undo that kind of branding power and consumer thinking. For a long time, Coppertone was to sunscreen as Kleenex is to tissues, as the iconic Coppertone labels and lack of market competition allowed the company to dominate the sunscreen market with impunity. Neutrogena faced a tough task in attempting to penetrate this market, but not only has it succeeded in doing so, it has flourished. 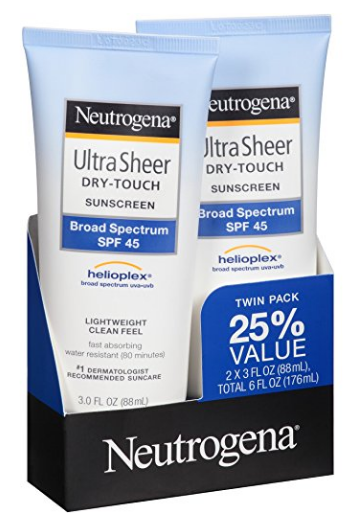 Neutrogena sunscreen is now the #3 best-selling sunscreen on Amazon.com, as Neutrogena’s assorted line of sunscreen products offer environmentally safe sun protection of all kinds to men and women of all ages. 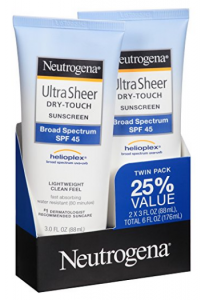 With over 40 different sun protection sold, and more in development, Neutrogena is determined to affirm its place in the sun protection market, and given the safety and effectiveness of their formulas, there is no reason to think that they will not be successful in doing so. I know we’ve already covered Neutrogena’s extensive list of moisturizers, but I believe that this lightweight water gel deserves a personal unique review. Neutrogena really blew the lid off with this moisturizer. When I heard about Hydro Boost Water Gel, I became very interested. I originally thought this to be a face mask, but it’s really just a moisturizer that looks like a gel and spreads like a cream. An exception to the specific-area Neutrogena moisturizers, the hydro boost is an apply-anywhere water-based product. This is as opposed to many oil-based creams that make your skin look overly shiny, and can cause you to break out. One of the best parts about this gel miracle moisturizer is that it contains hyaluronic acid. The word “acid” can be enough to scare some people off, but not to fret. Your body actually produces this stuff, and for a good reason. Hyaluronic acid is produced by your body to retain collagen, increase moisture and give your skin that elasticity and flexibility that healthy skin tends to have. As you age, your body stops producing as much of this stuff, which is part of why you get wrinkles and other blemishes. This stuff isn’t cheap, usually ranging in price between eighteen and twenty-five dollars. Anyone who’s bought this product can understand why this is. The word that comes to mind to begin to describe the effect on your skin is glimmer, but that doesn’t even cut it. Think of all the fairytale-fantasy stories you’ve heard about fairy queens and mermaids and how their skin would shine and glow. What’s more, is that you would only need the smallest bit of product to cover your face, making the Hydro Boost Water Gel last you at least a couple months of regular use. It even works well for sensitive skin, and if you have super dry skin, they even have a version for that. The feedback on this product really affirms that Neutrogena is of the most proficient makers of moisterizers in the market. 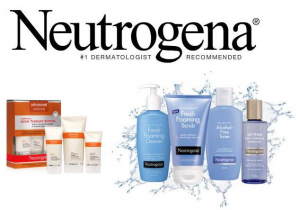 Check out our Top Neutrogena Products feature at Maple Holistics! When it comes down to it, it’s just tough to find any kind of fault with Neutrogena. The perpetually growing and expanding brand has managed to slowly and deliberately build up its catalogue of products over the course of decades, without spreading itself too thin too quickly. The secret to Neutrogena’s success is undoubtedly in their methodical, calculated approach – no product is launched without a clear plan in place and the resources to successfully implement said plan. Neutrogena did not have other companies to learn from when they started out, as they were something of a pioneer in many respects in the personal care products world. This makes their accomplishments doubly impressive, as newer companies with many examples to learn from have fallen victim to the problems that Neutrogena successfully avoided. 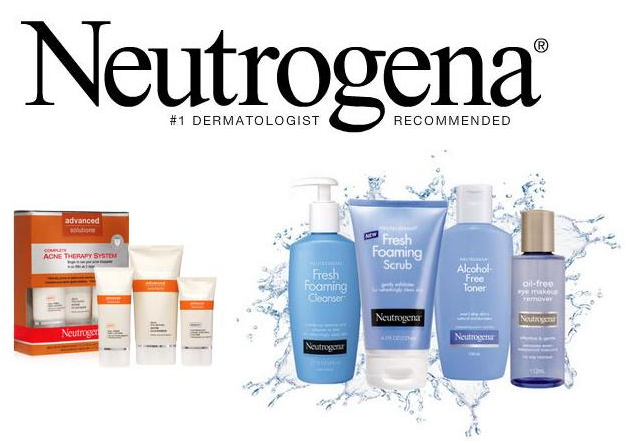 From cleansers, to acne care, to moisturizers, to cosmetics, to sun protection, and more, Neutrogena definitely knows what it’s doing – the only ones who continue to benefit more from their success than they do is their satisfied customers.